"Builder" redirects here. For other uses, see Winter Builder Charm. The Builder Mouse is an Event Mouse found during the annual Great Winter Hunt event. The head foreman in charge of the huge ice castle construction job. With a solid ice sledge hammer, some icy blueprints with a penchant for building things, this looks to be the best qualified mouse for the job! A Winter Builder charm will be required to attract this mouse. Information on how to locate and capture the Builder Mouse can be found on the current Great Winter Hunt location page. 9 December 2014: The Builder Mouse was released as part of the Great Winter Hunt 2014 event, but could not be attracted yet. 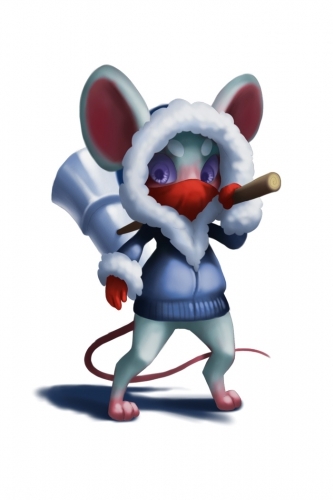 15 December 2014: The Builder Mouse became available as part of the second week of the Great Winter Hunt 2014. 13 December 2016: The points/gold for Builder Mouse were changed.